Two NAND gates are used for the oscillator, and two as the control. If the two-tone speed needs to be altered, the 220 µ capacitors can be changed Oarger for slower operation). 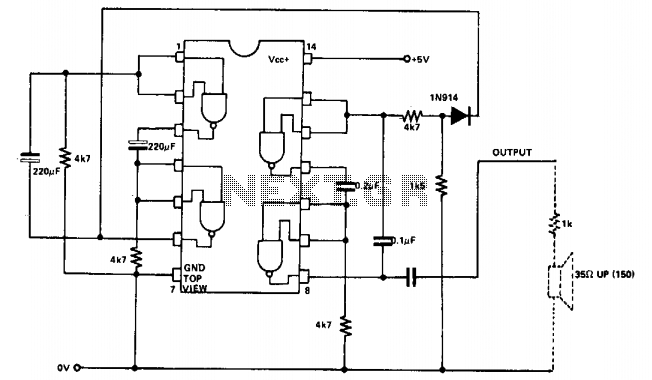 This circuit will check a crystal for activity. 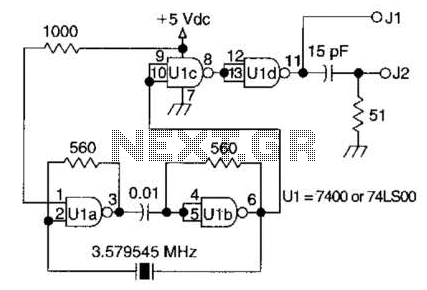 Two sections of a 7400 act as an oscillator and its output is rectified and drives an npn transistor that switches an LED (Fig. A).